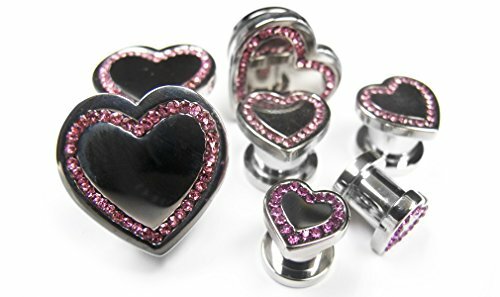 Brand new 0 gauge (0G - 8mm) Heart front 316L stainless steel plugs. Pink CZ gem stones on the front. These are sold in pairs. Screw on backs. If you have any questions about this product by Urban Body Jewelry, contact us by completing and submitting the form below. If you are looking for a specif part number, please include it with your message. 14k Tri-color Gold D/C Beads w/Love Heart Y-Necklace SF2523-18"